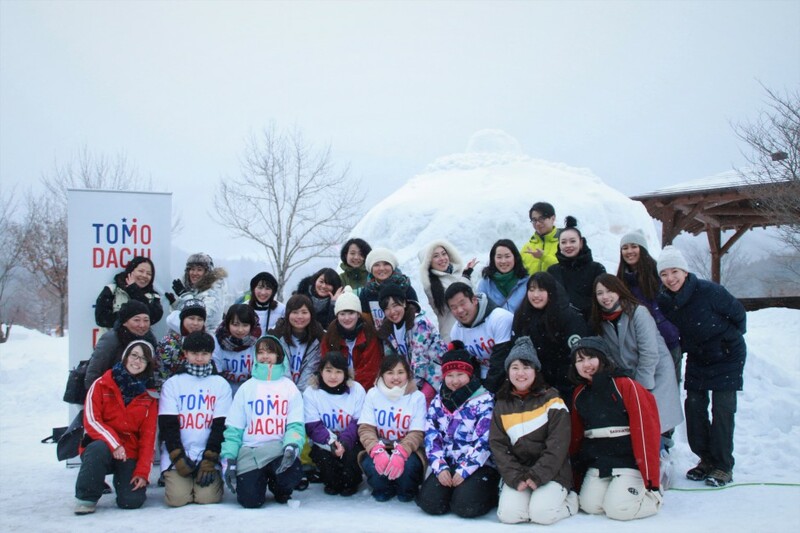 From February 15 to 17, 2019, 13 TOMODACHI alumni joined the “Second TOMODACHI KaoLINK Fukushima Rebranding Program,” held in Shimogou-cho, Fukushima Prefecture. This program is a project which brings together high school students, college students and professionals from Fukushima to form teams to examine ways to create a brand image for Fukushima using scent. Following the December orientation, in the second part of the program, participants took part in “Nakayama Setsugekka,” an event themed “scent × sound,” held in Shimogou-cho, Fukushima. On the first day, the participants dined with Mr. Hidetaka Ogura, assembly member of Shimogou-cho and executive chair of the “Nakayama Setsugekka” committee. The participants deepened their understanding of the event by learning about the history of and motivations behind “Nakayama Setsugekka,” which originally began as a community revival project. 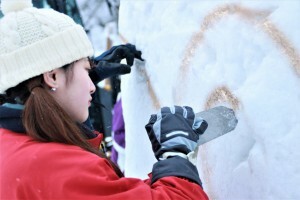 On the second day, the participants worked to create two kamakuras (snow domes), designed by Nodoka Yokoyama, the core member of the program last year. During the sunset, the candles of the kamakura were lit and the picturesque view spread all over the area. Inside the kamakura, dancing and recitations themed around “Snow,” “Moon” and “Fire” were performed by Chie Norieda, dancer of Baliasi, and Chiaki Sato, a media announcer. On the final day, the participants presented their poems inspired by the sights of “Nakayama Setsugekka.” Through poetry, they shared their feelings from different perspectives and learned how to convey them to others. The next part of the program will be held on April 13 and 14 at Hanamiyama Park in Fukushima City. This program is generously supported by Air Aroma Japan.